Since graduating college with a double major in both International Studies and Spanish, Melissa has found herself with at least one foot in the world of education. Stateside, she's served as a paraprofessional in three different schools and while living in South Korea she served as resident Native English Speaker in three different Korean Elementary schools. These positions have all held their various perks and moments of pure joy, always revolving around the students and gaining added favor with a variety of "work perks". This past Monday, January 25th, Melissa and Mike both enjoyed the perks of being connected to Burlington Schools AND of owning their own business complete with a respectful clientele that understands M&M need/deserve the occassional break. 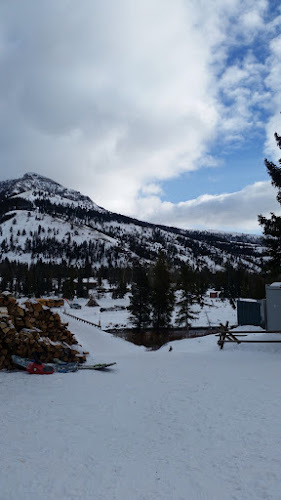 So it was, the couple, along wtih middle school and high school staff and students found themselves enjoying a day of skiing, snowboarding and outdoor enjoyment at Sleeping Giant Ski Areat just outside of Yellowstone National Park. This, all in thanks to a school that values offering students opportunities outside of textbooks and tests AND a small community that's will to chip in and ensure the day is available not only to students but to community members at large. The day saw Mike Harrington busting out his snowboard after about an 8 year hiatus. As should be expected from the man- the myth- the legend, he took to his snowboard as if it'd only been on hiatus for 8 months. After a quick reacquaintance with his board, he was shredding his way down the mountain, impressing numerous students who were convinced his skill set was fairly well limited to pizza-builder extraordinaire. By the close of the day, Mike had made just over 20 runs, for a total of 73 minutes, 12 miles and a top speed of 36 mph - feats he deemed were just a bit more exciting, active and enjoyable than lounging around at The Burlington Place building the weekly trivia. Melissa opted to don a pair of skis for the first time since middle school, remembering how miserable she felt after her first and only time snowboarding about 10 years ago as a college student. She sat in on student lessons, learned a few things that made skiing a bit more pleasant than it was 17 years ago, pizza-wedged her way down the bunny slope, made it up the chair lift with her hubs once and then mostly enjoyed lounging around, drinking a bit of coffee and taking in the lovely winter scenery. She also had the added joy of running into Mike's aunt and uncle Cowger who were touring with a friend of theirs who was visiting from Maine - talk about the joys of Wyoming being one expansive small town! 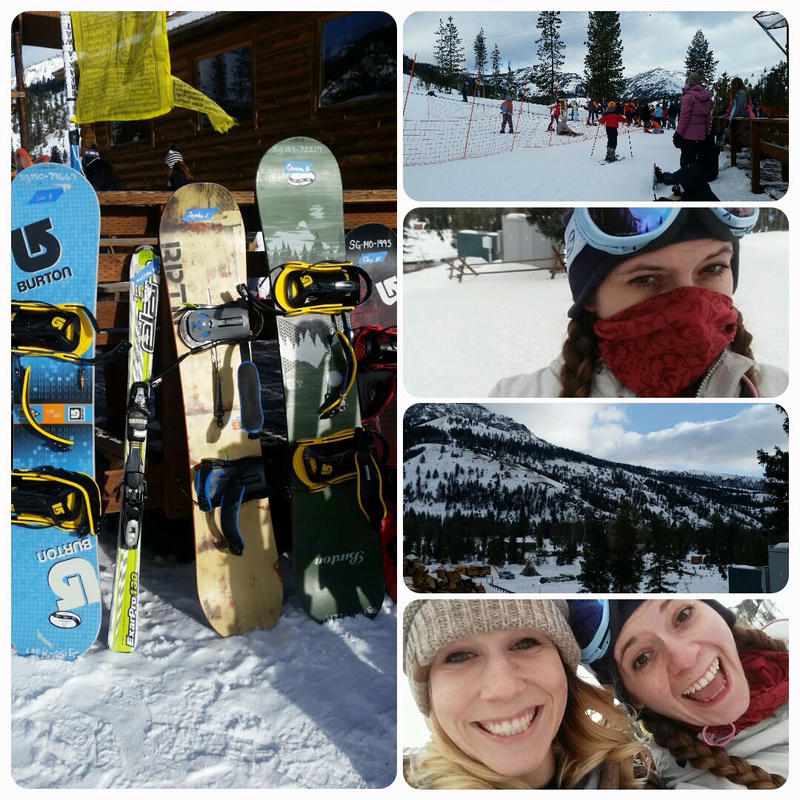 Students and other teachers all enjoyed the day similarly to fit their own personal interests. Many students conquered the mountain on skis and snowboards, whereas a slew of 6th grade and middle school students received lessons and tried their hand (and legs, minds, muscles, core, etc) at winters pleasurable sports for the first time ever. 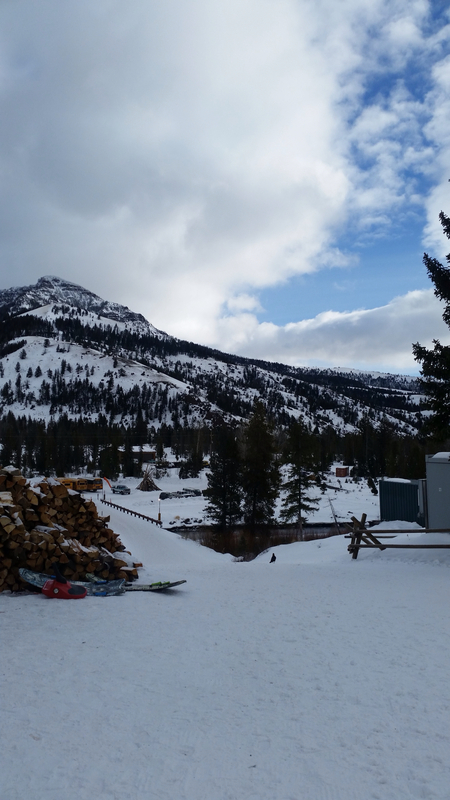 A handful of students made their way down a few sledding runs while still others enjoyed games of Apples to Apples, Connect Four, coloring and chatting in the ski lodge. Overall, Monday, January 25th was among a special handful of Mondays that does not impart a case-of-the-Mondays to the workers and attendess of Burlington Schools. As an additional perk to getting out and closing up shop, the duo made plans to enjoy dinner with a couple teacher friends and their spouses at Pat O'hara Brewing in Cody, Wyoming before returning home to soak in the hot-tub and rejoice at having experienced a bonus day off without having to travel far and wide for a holiday or wedding. Somedays, work feels like just another day of engaging in the same ol' daily grind with a few small joys but nothing necessarily brag-worthy...somedays however, you can really get your brag and love that you are in a position to enjoy some fairly major "work perks". Cheers to you and yours and here's to hoping you have some work perks to look forward to!